Patty's Utopia: From Merengue to Jazz Vocals. Juan Luis Guerra On a Duet with Mr. Tony Bennett! From Merengue to Jazz Vocals. 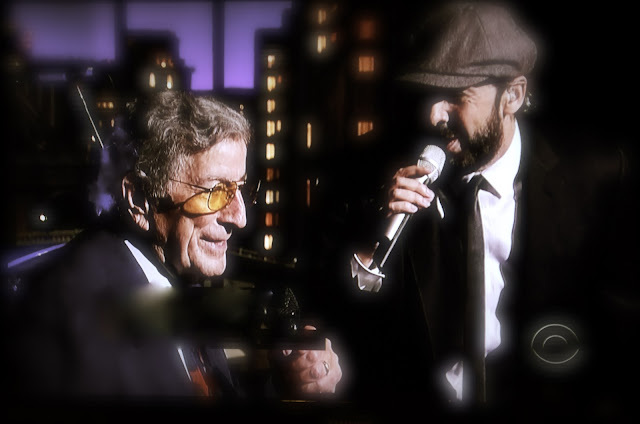 Juan Luis Guerra On a Duet with Mr. Tony Bennett! So yes, I stayed up late (which I regularly do) and finally, there they were, Tony Bennett and Juan Luis Guerra. I really loved what I heard but, why don't you better judge for yourself? Enjoy this clip from the show! It's easy to notice how Juan Luis Guerra is really enjoying this performance. Labels: Artists, Arts, Duet, Entertainment, Jazz, Jazz vocals, Latino, Music, Show, Singer.